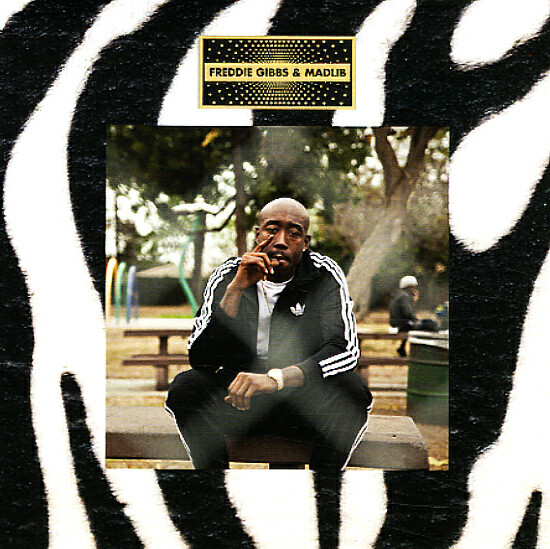 Streetwise raps from Freddie Gibbs, backed by inventive production from Madlib – here on one of the best records yet on 'Lib's own Madlib Invazion imprint! If you'll forgive us a little bit of repetition – because we KNOW we've written this before – there's just something extra riveting about Madlib's production work for straight shooting, street lingo slinging, no nonsense MCs. The freewheeling inspiration and bottomless depth of unpredictable sample funk is there, as always. It's leaner, tighter and with a thicker backdrop of beats. Gibbs is sharply on point throughout here, and if it seems like an oddball pairing at first glance, rest assured, these guys work GREAT together. Guests include Danny Brown – who drops some top shelf wordplay of his own on "High" – plus the Wu legend Raekwon on "Bomb", Domo Genius & Earl Sweatshirt on "Robes", Domo Genius, G-Whiz, Mac Miller and more on the title cut, and more. Other titles include "Supplier", "Scarface", "Deeper", "Harold's", "Thuggin'", "Real" and "Uno". © 1996-2019, Dusty Groove, Inc.